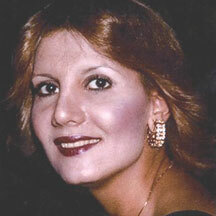 Nasrin Keyvanfar was born in Tehran. As a child, her special talent in music was already evident. When Nasrin completed her education, she commenced a position at the Agricultural Ministry while working toward her dream of becoming a professional vocal artist. In 1974, at age twenty-four, her dream came true. The National Iranian Radio and Television Network was looking for new talent that would appeal to the young population. Nasrin was blessed to have both youth and talent, and the rest is history. Nasrin was signed and had the honor of being offered an apprenticeship with the renowned master Abdol Ali Khan Vaziri. Nasrin has performed as many as 50 songs including Persian classical music and pop songs. Currently, Nasrin enjoys her quiet life with her husband and daughter Sarvenaz, in Virginia. Her CD is a reminiscence of her life and her art. It is a bouquet of beautiful songs and lyrics composed by great master musicians, and a gift to her fellow Iranians. Sample tracks from "Best of Nasrin"
Music Section? Send your music to times@iranian.com.